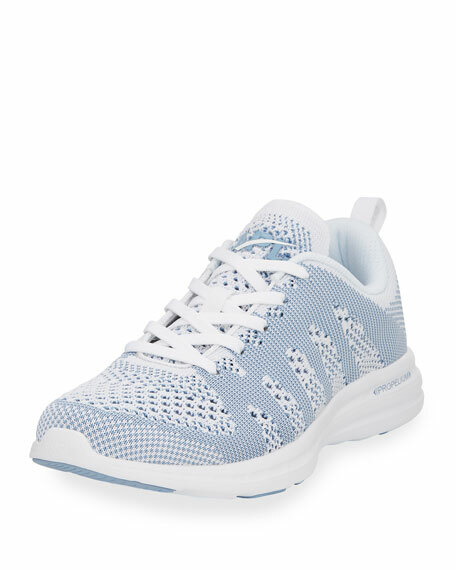 Innovative and intricate multi-leveled woven upper features futuristic textiles blending performance and style, world's first metallic knit upper. 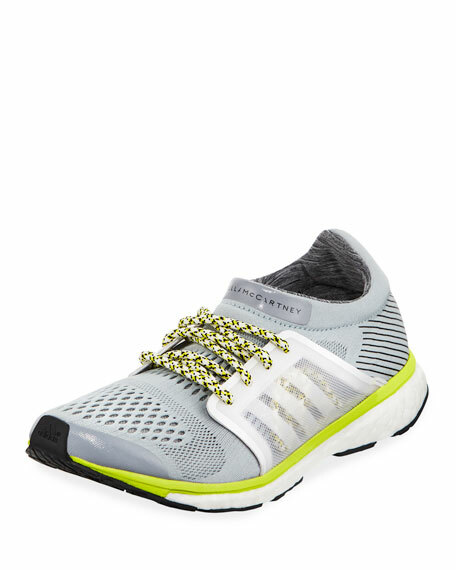 For in-store inquiries, use sku #2390027.
adidas by Stella McCartney cutout mesh and rubber sneakers. Flat heel with slight platform. Reinforced, round toe. Lace-up front. Logo at tongue. Contrasting top collar. 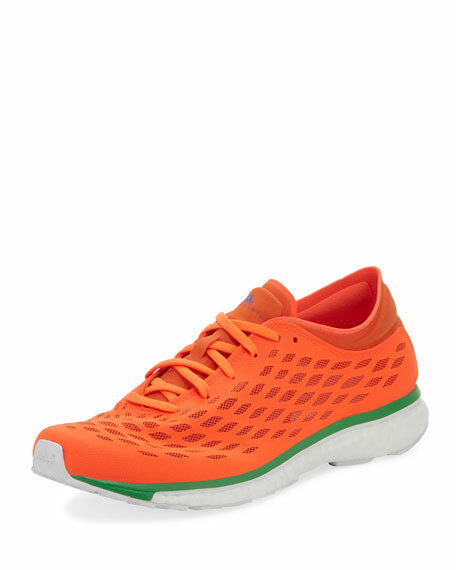 Cushioned insole. EVA outsole. 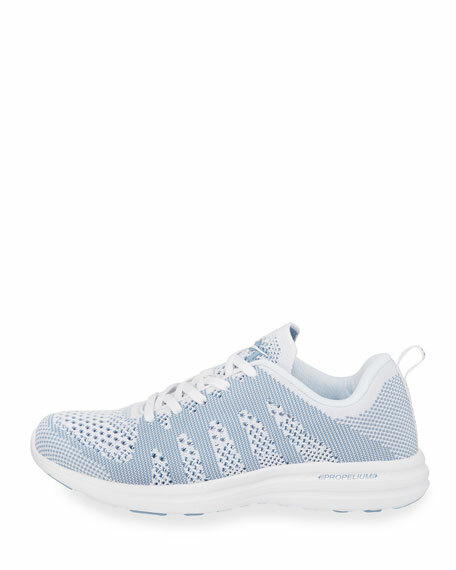 "Adizero Adios" is imported. 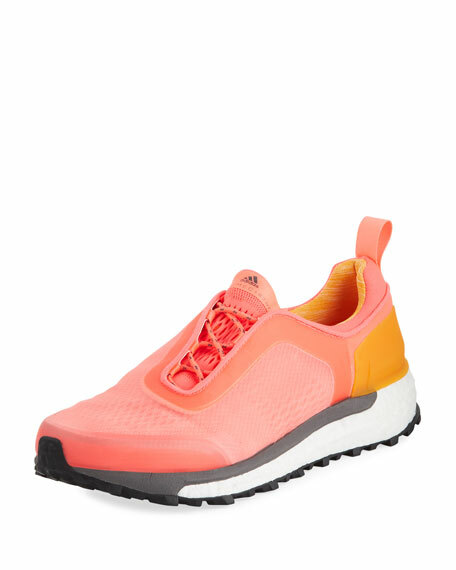 adidas by Stella McCartney sneakers in colorblock mesh, rubber and polyurethane. 0.3" textured flat heel. Reinforced round toe. Laced front with rubber cage. Logo at tongue. Jersey-knit lining. Rubber outsole. 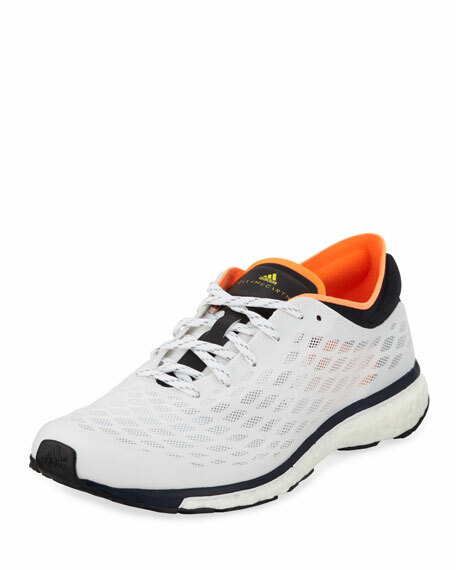 "Adizero Adios" is imported.